Hi guys, so as mentioned previously in my last post I have been competing quite a bit over the last few weeks. First up was the English combined events championships in Bedford. Following on from previous success at Bedford a few weeks before at the BUCS championships I had high hopes that this would also be a good event. I had 3 races over the course of the day, 2 100m races (heats and finals) and an 800m race. Both 100m weren’t the best races from my unfortunately, there was a lot of side wind which can make staying in a straight line fairly tough. The other competitors also had trouble with this and many people came away a little disappointed from those races. The 800m was a similar story, however the wind had changed direction slightly and a much better race was run. I came away with a decent time considering the conditions and was now more confident for the competition the following week. 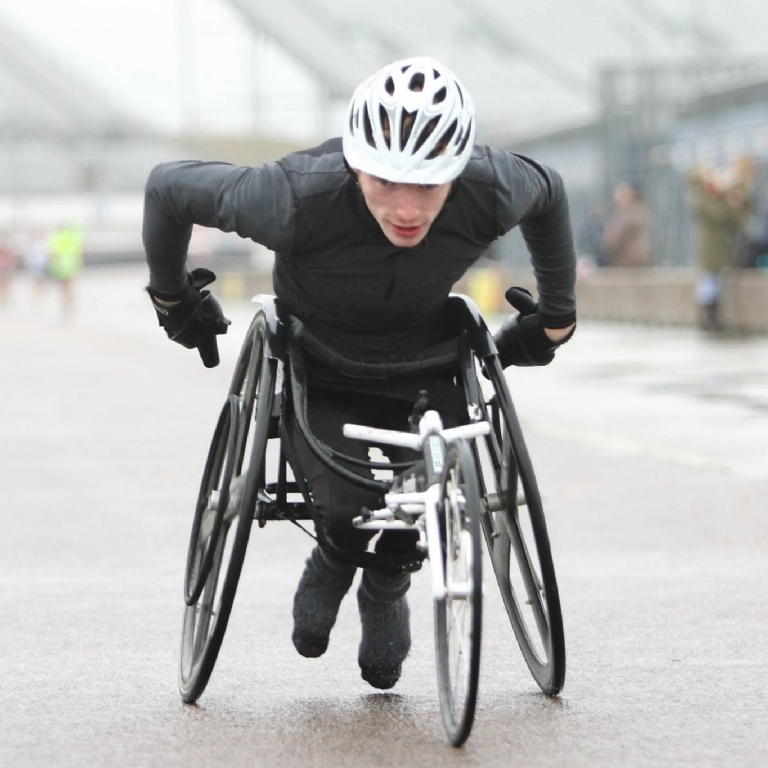 This next event was at Stoke Mandeville which is the birthplace of the Paralympics and the host for the wheelchair events at the 1984 Paralympics. Stoke Mandeville has always been quite a good track if the conditions are right and fortunately there were pretty much perfect. Again I had another 3 events to compete in the 100m, 200m and 800m. First up the was the 100m I had high hopes for this race but couldn’t get the start that I wanted and by the time I had picked up speed my rivals were too far ahead of me. The 200m was a different story and was much more competitive. I had a really strong start in this race and powered past everyone on my outside within 50m. Coming out onto the straight I could sense someone just behind me, it was extremely close on the line but the guy on my inside managed to pip me on the line by 0.01 of a second. It was an extremely fun race and very close which makes it even more exciting. The 800m was yet another good race coming away with a win and 9 seconds ahead of 2nd place. It wasn’t the fastest time however and would have been better if I had a draft during the race to stick behind during the windier parts. All in all, I have been fairly happy with my races so far this season and now looking towards going into longer distance racing as I find it the more enjoyable side to racing. I will still be doing the sprint races but will have less focus during training on those events. Anyway my next event will most likely be the July Grand Prix at Stoke Mandeville again, will let you guys know how it goes!